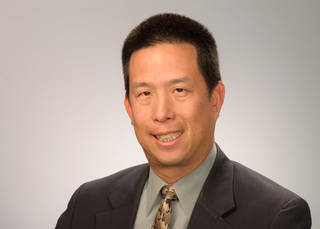 May 4, 2015 – NASA Administrator Charles Bolden announced Monday the selection of Dr. Eugene L. Tu as the next director of the agency’s Ames Research Center in Moffett Field, California, effective immediately. Tu most recently served as the director of Exploration Technology at Ames, where he led four technology research and development divisions, including two of NASA’s critical infrastructure assets: the consolidated arc jet testing complex and the agency’s primary supercomputing facility. Tu’s career in aeronautics began as a research scientist, conducting computational fluid dynamics research on the aerodynamics of complex aircraft configurations. He has held research and managerial positions at the center in computational aerodynamics, information technology, and high performance computing and communications. He also served in the Office of Biological and Physical Research at NASA Headquarters in Washington. Tu has a Bachelor’s degree in mechanical engineering from the University of California, Berkeley, and a master’s and doctorate in aeronautics and astronautics from Stanford University. He is an associate fellow of the American Institute of Aeronautics and Astronautics (AIAA) and received the NASA Outstanding Leadership Medal in 2000 and Presidential Rank Award for Meritorious Executive in 2009.